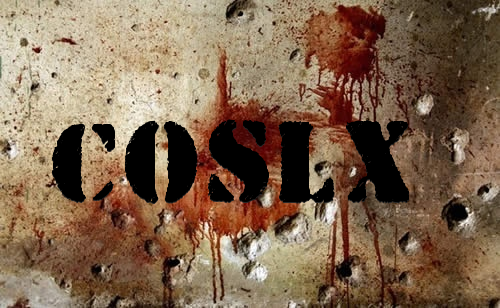 SLX was created by Solus, he built an SLX for OFP (Operation Flashpoint), Arma1,and Arma2. Whats the story behind the new version of SLX? After downloading SLX for Arma2 and trying it out ingame, and then running into the issues I had the freezing and the crashes, it had intrigued me to find the cause. Doing so I could eliminate them these "bugged" files from my game. After extensive reading and research and covering practically every page of the thread I found numerous posts of feedback and reports on which files were causing what. Copying and pasting these posts into a wordpad document, I compiled a list of the files reported by users who had a problem. Once I realized what i had put together I thought to myself I just did alot of work finding all the reported bugs which could possibly help alot of other SLX users. So i created an official SLX Bug List and had it Linked to the SLX Download page on Armaholic so that new down loaders could at least see the bug list and go from there. Over time I had continually updated the bug List where I could, but there was still an ongoing issue in the community, not only on BIS forums but on Armaholic forums as well. After reading and responding to threads of new players reporting install problems, crashes, freezes, and other issues, it bothered me that even though i had a SLX bug list setup on the SLX download page that somehow these new players of SLX were either not seeing the Bug List or ignoring it without knowing the issues that SLX had. This problem gave me a great idea which was to come up with a version of SLX that had no bugs apon the initial download. So the Idea was to retest SLX on Arma2 and Arma2CO, fix any errors or any issues found, and recompile the mod into a version where all the problem files or bugs were removed from the game, thus making the mod stable from the download. the idea worked! SLX now has 2 versions of itself. The titles of the SLX folders have changed to distinguish the 2 different versions, this is important as explained above.